We are delighted to announce that we have extended our long-standing commitment to Eloise – the much loved precocious 6 year old! The enjoyable work with Eloise Enterprises LLC (representing The Kay Thompson Estate), Hilary Knight and Simon & Schuster continues and we look forward to building on, and strengthening, those relationships. Eloise is a series of children’s books written in the 1950’s by Kay Thompson and illustrated by Hilary Knight. 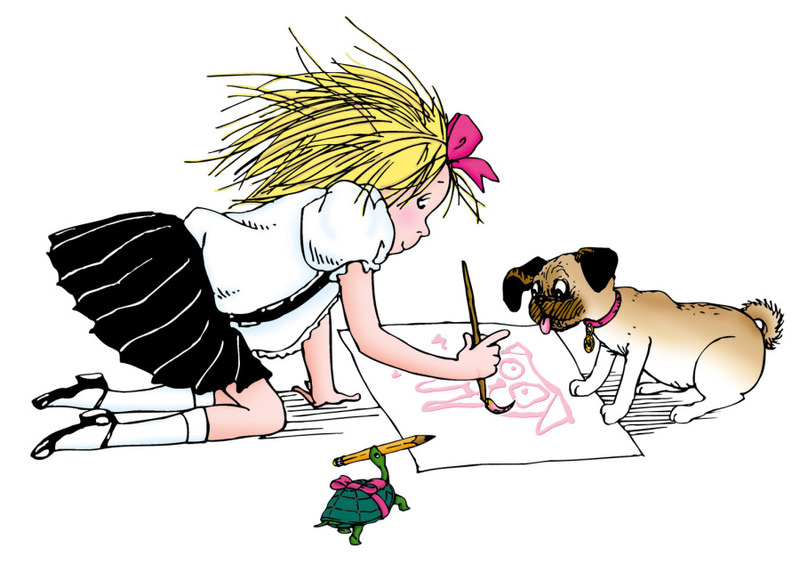 Eloise is a girl who lives in the ‘room on the tippy-top floor’ of The Plaza Hotel in New York, with her Nanny, her pug dog Weenie and her turtle Skipperdee. Eloise’s portrait continues to hang in The Plaza to this day. Eloise books have sold over 5 million copies worldwide, spawning two delightful films and an animated series. A Handmade Films spokesperson commented ‘Eloise is much loved by families over three generations now. We have exciting plans for Eloise’s future, building on her history. We will ensure that we always respect the fond memories of existing fans, whist also introducing her to a whole new generation. In this regard we will be working closely with all of our partners and of course very closely with our friends at The Plaza, Eloise’s spiritual home. For any Handmade Films press enquiries please contact us.